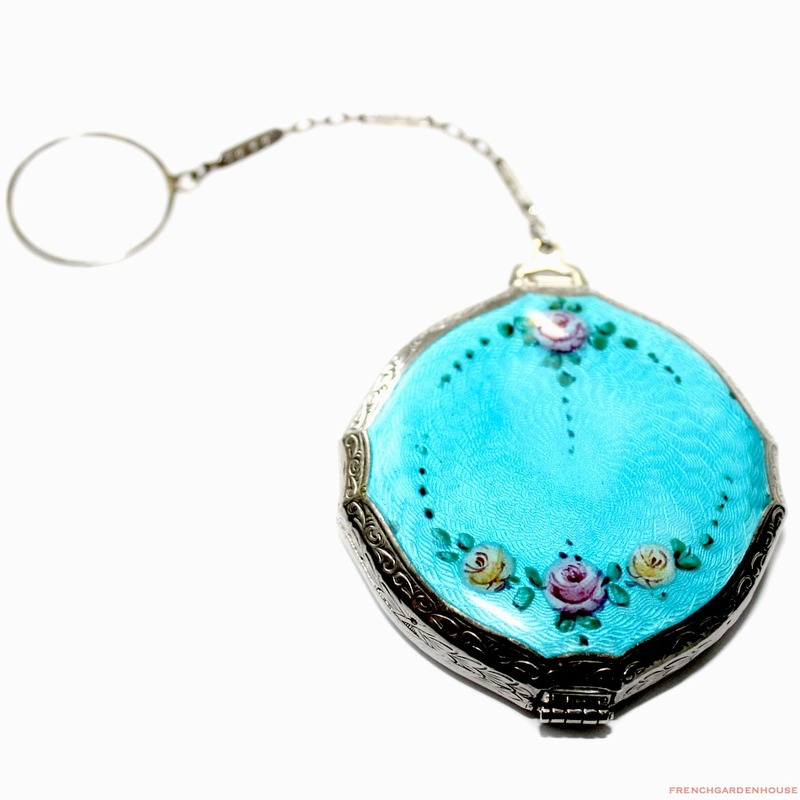 Exceptional and stunning decorative Guilloche Compact with hand painted pink and yellow roses on the front. 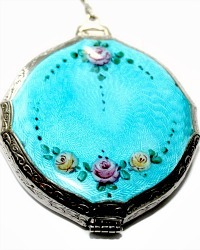 What a delight, this is quite a beauty, Aqua Blue guilloche enamel on the front of this gem has romantic rose florals painted with great skill and mastery. 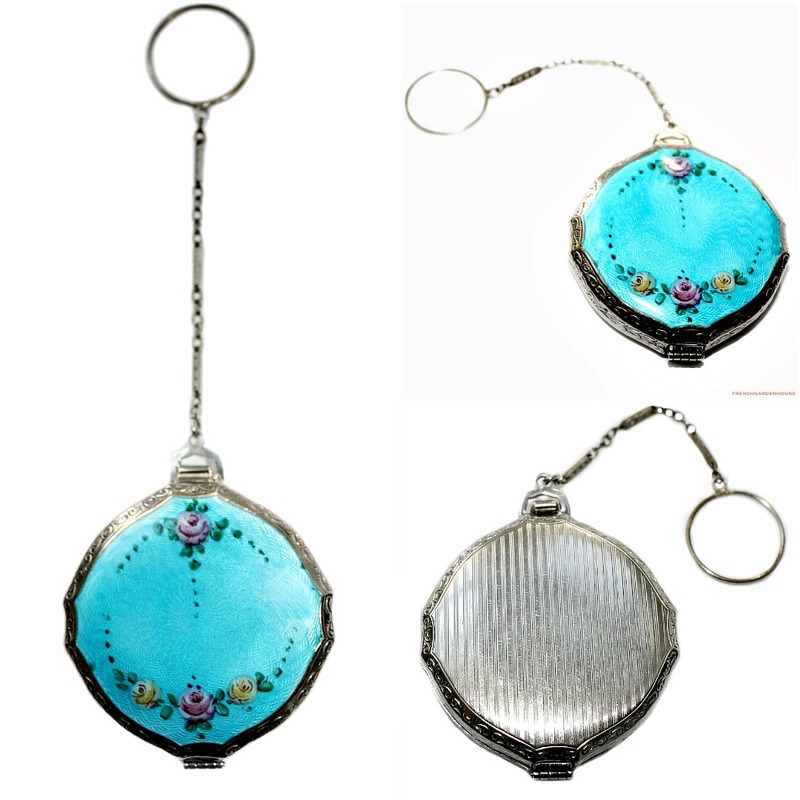 The compact has a small chain and the original finger ring. There is a small tiny area of loss in the enamel on the top right side edge. The back of the case has a striped pattern, a scrollwork design encircles the sides. 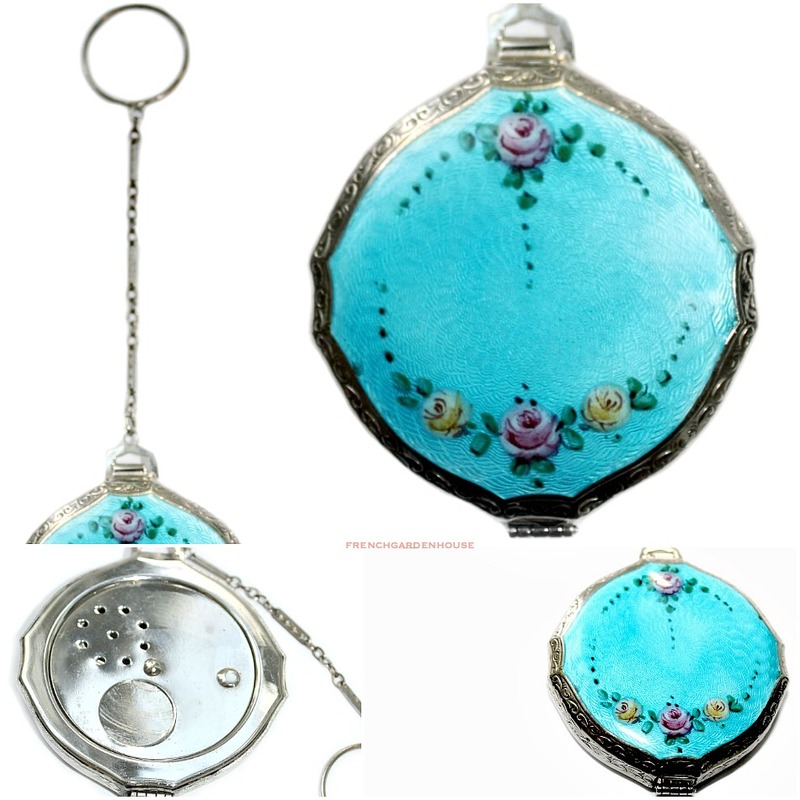 Inside, a mirror, and a powder container with the original sifter, and a small round spot where a disc of rouge can be glued in, some of the silvered paper from this is still visible. A highly collectible addition to your collection of vanity, perfume and powder boxes and compacts. Luxury condition, the color of the guilloche gorgeous. A true rare find!